Be A Stress Free Freelancer – Boundaries! At The Right Step Dance Company I work with many freelance dance artists, we call them TRS Teachers. Some are community dance practitioners, some are dance teachers, some are facilitators or instructors, but whatever they call themselves, they are technically sole traders and they all work for themselves. Working for yourself is great most, of the time, but it does have extra difficulties that aren’t necessarily there when working for someone else so I’ve put together some tips for freelancers to help them along the way. That doesn’t mean you shouldn’t care, it means you will put systems in place to allow you to get on with things, safe in the knowledge that you will be happy, on schedule and within your limits. If you consistently follow the boundaries you’ve set yourself you will be focused when you’re working and able to relax when you aren’t. It’s important to set boundaries that work for you. Everyone is different and has different needs. 1. Know your work hours – If you’re a morning person, but useless in the evening set your work hours accordingly. If you like to have a siesta, plan it in. No one can work all of the time, we get tired and then we’re unproductive. It is important to be available though. Note when people need you most and try and work around it. 2. To email or not to email? – Nowadays we can receive our emails on our phones as well as computers, but it can be tempting to work all hours of the day or to just quickly do things here and there. Set a boundary to make sure emails don’t get in the way. Maybe use the phone to read emails, then you can work on a reply for when you’re back at your desk. If you like to reply on the run make your phone the main thing you use so you don’t get in a muddle over who you’ve replied to and who you haven’t. 3. Admin Vs. Teaching – Teaching is the fun bit for most TRS Teachers and that’s why The Right Step does the admin, but to be stress free it needs to be under control. Set a boundary so you know you’re keeping on top if it. Perhaps an hour every morning or a couple of scheduled hours a week? 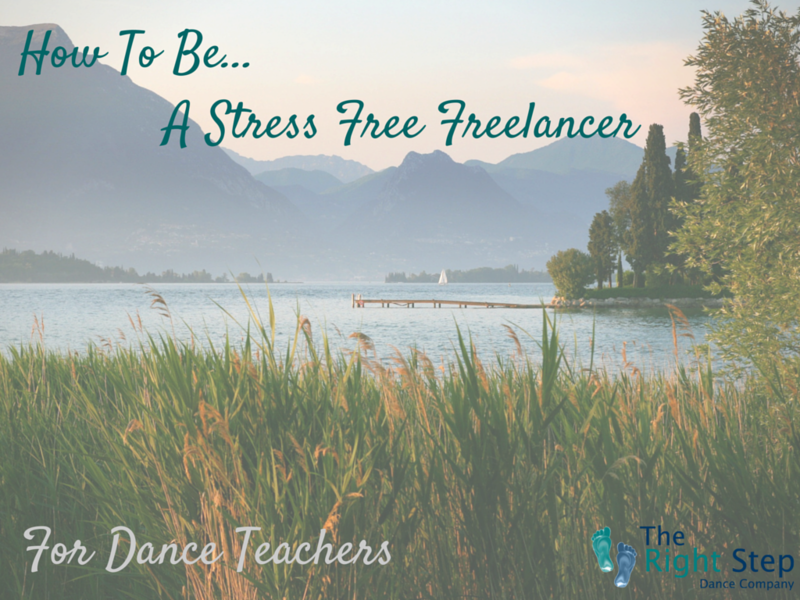 So they’re boundary related tips to becoming a stress free freelancer!